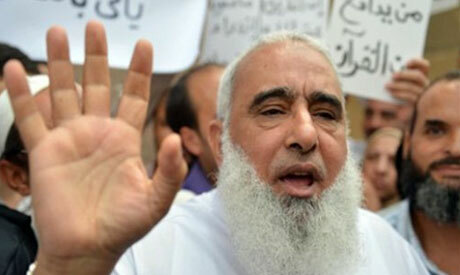 An Egyptian misdemeanors court has issued an 11 year prison sentence to Islamist preacher Ahmed Abdullah (AKA Abu Islam) on charges of insulting religion and burning the Bible. Abu Islam, who is the head of two Islamic satellite TV channels – the Umma and Mariya – has also been fined LE3000, but the verdict will be suspended pending appeal.The court also sentenced Islam, Abu-Islam’s son, to eight years in prison and fined him LE 2000 for taking part in burning the Bible with his father. This sentence is also suspended pending appeal. During an 11 September 2012 demonstration in front the US embassy in Cairo protesting the anti-Islam film “Innocence of Muslims,” the Muslim cleric publicly burned copies of the Bible. Before leaving the demonstration, he told the crowd that he would later send his grandson to urinate on the Bible. Last week, Amnesty International expressed concern over the increasing number of charges for blasphemy and insulting religion in Egypt. Amnesty stated that the majority of those targeted by such accusations in Egypt are Coptic Christians. In February 2013, the prosecutor general ordered Abu Islam’s arrest for allegedly insulting Christianity.